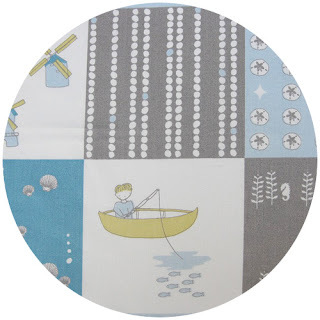 You won one yard of Jay-Cyn Designs for Birch Fabrics Storyboek Gone Fishin' Cheater pictured above. We will be emailing you shortly for your information. Thank you everyone who entered this weeks giveaway. This week you can receive $5 off orders of $50+ until August 10th! Tomorrow we will be posting the next giveaway. Congratulations to the winner and thank you for hosting another wonderful give way. Congratulations to Cat, that is such fun fabric.